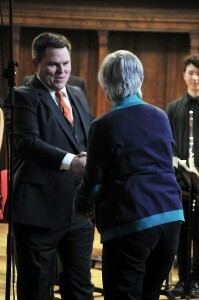 John conducts Ensemble ISIS, as part of Judith Weir’s residency at the University of Oxford’s New Music Forum. The ensemble is the only faculty managed group and has some of the finest performers across the University. The programme will include the European premier of ‘Blue-Green Hill’.